It has been a wonderful year in the South Orange County Community. It was a year as we were witness to successes in School and as we were privy to the Orange County 100 being named by the Orange County Register. The 100 who made a difference were quite a group which has made all Orange County the wonderful place it is and continues to be. As we were witness to this, we were also witness to such support for Aliso Viejo Middle School as the Aliso Viejo Falcons ASB spearheaded fundraiser at Blaze PIzza and Sub Zero. How the Falcon Community came out in droves was a privilege to be witness to. This is one of those traditions that has persisted for over 100 years staffed by volunteers and donated by volunteers. How it all comes together that somehow brings into to life. One of the most recent entrants was from the Sikh American Community. It was quite a sight to be witness to. It was also of note how our Schools continue to improve and be a haven for learning. We here @ #outsiders decided to publish excepts of the final edition of Capo Talk which is published by the Capistrano Unified School District that underscores the level of achievement and continued success being enjoyed by the students at Capistrano Unified. This is also as the New School Board Took office earlier in the Month--and as transitions occurred throughout the Cities of South Orange County. We wish all a wonderful New Year as we continue to comments on the ever changing and vibrant South Orange County Community. 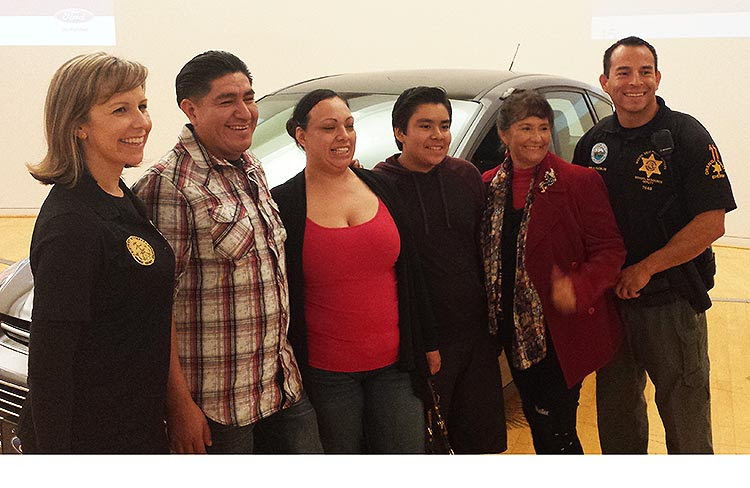 (L-R) Lisa Grossman, Orange County deputy district attorney; Roberto and Margarita Vasquez, parents; Roberto Vasquez; Rosalia Koba, Newhart Middle School counselor; and Hector Catalan, school resource officer. Staying on track for school success paid off with a big prize for Roberto Vasquez and his parents. The seventh-grader at Newhart Middle School won the drawing for an all-new Ford Transit Connect vehicle held at Ford Motor Co.'s regional headquarters in Irvine earlier this month. Roberto was among 25 Orange County students and their families eligible for the grand prize for significant improvement in overall school attendance, behavior, and grades through the Orange County Gang Reduction and Intervention Partnership (OC GRIP) program. OC GRIP is a program of the Orange County District Attorney's Office in conjunction with the county Sheriff's Department aimed at guiding identified students to positive life choices and rejecting criminal activity or gang-related behavior. Participating OC GRIP parents are held accountable for their children and are provided with a host of resources for keeping a son or daughter on the right path including tutoring, counseling, and parenting education classes. "The OC GRIP program has been a great motivation for Roberto in turning around his academic outlook and school performance," said Jeff Jones, principal of Newhart Middle School. "I am looking forward to seeing him achieving more success in the future." The raffle for the new vehicle was the highlight of a day-long visit by more than 150 local elementary, middle, and high school students to Ford's Orange County headquarters. The students, all successful participants in the OC GRIP program, were rewarded for their good behavior with an exclusive tour of the company's regional offices, including a behind-the-scenes look into the design process for concept cars. The CUSD Board of Trustees elected new officers at the Board meeting of Wednesday, December 10. Lynn Hatton-Hodson was elected Board President, Amy Hanacek is the new Vice President, and Martha McNicholas is the new Clerk of the Board. President Hatton-Hodson succeeds John Alpay, who served two consecutive terms as Board President. Trustee Alpay was presented with an engraved plaque by Board colleagues in appreciation of his service as President. New President Hatton-Hodson, who was re-elected last month to a second term on the Board, was sworn in and seated before the Board meeting with newly elected Trustees Gila Jones and Martha McNicholas. 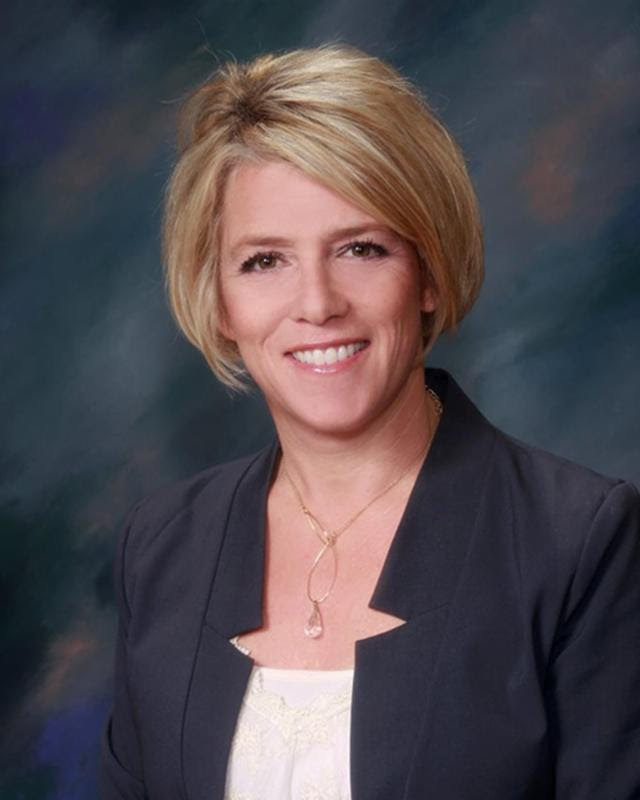 Trustee Hatton-Hodson represents Area 7, which covers Rancho Santa Margarita, Mission Viejo, and Coto de Caza. She was first elected in 2010. Trustee McNicholas was sworn in to represent Area 4, which includes parts of Laguna Niguel and Dana Point. Trustee Jones was sworn in to represent Area 6, which covers portions of Mission Viejo, Laguna Niguel, and San Juan Capistrano.